With so many different types of insurance products available, from so many different insurance providers, it can be extremely challenging to find the right cover for your situation and budget. At Cover Australia, we can take the hassle and guesswork out of securing life insurance with our comprehensive life insurance comparison service as well as free professional advice before and after purchase. Not only will we help you sort through your options to secure the most affordable cover for your needs, but any life insurance cover you obtain through us is also fully backed by our ongoing service and advice for the life of your policy, at no cost to you. And if you ever need to make a claim, we will handle the entire claims process for you to ensure that you receive the full benefit that you are entitled to in the shortest amount of time. Get the financial protection and support you deserve with quality and affordable cover. 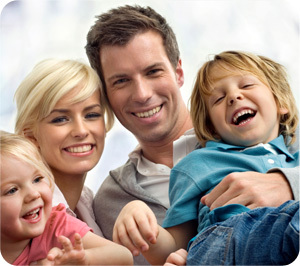 Start today with our life insurance comparison Australia wide by applying for a free, no-obligation quote online. If you're looking for a rough estimate as to how much cover you need, why not use our Life Insurance Calculator? There are four main types of insurance that we provide advice on, and all are suitable for a range of circumstances and budgets. For expert advice about what type of insurance would work best for you, talk to your professional insurance advisor at Cover Australia about your personal situation and lifestyle. This is the standard type of life insurance in Australia, which provides a lump sum benefit to your nominated beneficiaries on your death or if you are diagnosed with a terminal illness. It gives your family and loved ones the financial support they will need at a very difficult time, to allow them to live comfortably without the stress of household debt and bills, and plan for their future. Term life insurance is for anyone who wants reliable, affordable protection and financial support for your loved ones in a time when they will need it most. The specific terms and inclusions of every life insurance policy will vary between insurance providers, so it’s vital that you make sure you understand the terms and definitions of your particular policy and that it will provide adequate cover for your needs. At Cover Australia our quality life insurance comparison service will allow you to choose the policy that works for you and your family, and gives you the peace of mind that comes with knowing they’ll always be looked after. Income Protection Insurance, or Salary Continuance Insurance, provides you with a dependable income stream if you are suddenly unable to work due to illness or injury. It can provide a benefit payment of up to 75% of your current income, to help you support your family and dependents and cover household expenses and bills while you are focusing on your treatment and recovery. If you rely predominantly on your income to pay for your day-to-day living expenses, bills, credit cards, rent or mortgage, then Income Protection Insurance will be able to give you the reassurance that if you weren’t able to earn an income for some time, you and your family would still be able to live comfortably. Income protection insurance is necessary for anyone who depends on a regular income to maintain a certain standard of living. Get an income protection insurance comparison with Cover Australia today to find the best cover for you, and ensure that you’ll always have sufficient finances to fall back on if something unexpected happens. Trauma Insurance, also commonly known as Critical Illness Insurance, pays you a lump sum benefit on the diagnosis of a critical and traumatic medical condition such as cancer, heart attack or stroke. Trauma cover can be obtained as either a stand-alone policy or linked to a term life insurance policy, and the benefit is tax-free and paid whether or not you are able to work. It may also be payable in addition to an Income Protection or TPD Insurance benefit. The medical conditions covered under trauma insurance will vary between providers and policies, so make sure you undertake a comprehensive trauma insurance comparison before taking out trauma cover. We can provide a wide range of premium and product options for you to choose from, as well as expert insurance advice and service to help you secure the right plan. Total and Permanent Disability Insurance (or TPD Insurance) will pay you a lump sum benefit if you become totally and permanently disabled due to illness or an accident, and the professional medical opinion is that you will never return to work. Much the same as term life insurance except that you are alive to receive the benefits, TPD cover will allow you to provide for your family and loved ones as well as pay your bills and debts, and any ongoing rehabilitation or treatment costs. You can take out TPD cover either as a stand-alone insurance policy, or linked with a life insurance policy. If the policy is self-owned, tax isn’t payable on the benefits paid out , and you can use the payment to cover any of your existing or future needs so that you and your family will always have financial support when you need it. The definitions, inclusions, exclusions and additional benefits of TPD insurance policies will differ from provider to provider, so you need to make sure you are securing a level of cover that will adequately protect you. Talk to your professional insurance advisor at Cover Australia about your TPD insurance options and how they fit with your individual situation and budget, to ensure the policy you choose will properly provide for you and your loved ones. In addition to a comprehensive premium and product comparison, Cover Australia is proud to provide expert advice and service before, during and after your purchase. We want to ensure you are choosing and securing the right types of insurance that will give you the level of cover you need, so we are dedicated to assisting you throughout the entire process to make sure you fully understand the specifics of your policy. We offer quality and affordable products from an extensive range of trusted insurance providers, including our Platinum Partners who are committed to providing exceptional facilities and service that go beyond the industry standard. We’ll help you choose the right life insurance policy that aligns with your circumstances and budget, and delivers the financial protection you’ll need. We are available for ongoing advice, assistance and service for the duration of your policy to ensure your plan continues to be effective throughout the different stages of your life, and if you ever need to amend or upgrade your policy we can help you understand your possible options and secure the level of cover you are looking for. Our sole focus is to ensure that you are always being protected the way that you deserve. Should you ever need to make a claim, we will also handle the entire process from beginning to end to make sure it is cleared as efficiently and easily as possible, and that you receive the full benefits you are entitled to. Our entire comparison and advice service is free of charge for the life of your policy. Please visit our Frequently Asked Questions for more information about how we can help you, or contact us to discuss your individual situation with a friendly and experienced life insurance specialist.